Third in my little mini-series run of What Would Montalbano Read, based on novel titles and authors found in the Inspector Montalbano series by Andrea Camilleri. In this context, trying to discover why Camilleri may have injected these authors and books has proved quite interesting. It could be that he just liked them a lot and maybe I'm trying to read too much into their being in a series about a Sicilian detective, or maybe there's something about these authors and novels that resonated with Camilleri. As it turns out, Camilleri (via his protagonist Inspector Montalbano) and Tabucchi (both in real life and through his two protagonists Firmino and Mello Sequeiro) have a great deal in common. More on that later. 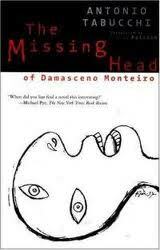 Set in Portugal of the 1990s, The Missing Head of Damasceno Monteiro was inspired by a real event: the discovery in 1966 of a headless corpse in a park. 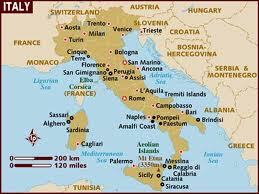 As it turned out, the dead man had been killed in a police station in Lisbon; his tortured body was later dumped. The novel is at the same time a story of murder and a commentary on several social, political and philosophical issues -- none the least of which is torture and moral decay. As the novel opens, a gypsy named Manolo who lives in an encampment outside of Oporto has discovered a body with no head. Meanwhile, in Lisbon, a young journalist writing for the tabloid O Acontecimento (whose motto is "What every citizen needs to know") is summoned by his editor to go to Oporto and cover the story. The journalist, Firmino, would rather be spending the time in the library working on research for his study of the Post-War Portuguese novel, but has no choice but to do as he's told. Off he goes to Oporto, and through the connections of a certain Dona Rosa who owns a pension where Firmino is staying, he is put in touch with Manolo the Gypsy. The only real thing Manolo can tell him is that the corpse was wearing a t-shirt with the words "Stones of Portugal" on the front. Following up that clue, Firmino discovers that the dead man is one Damasceno Monteiro, who has been missing for a few days. Further investigation reveals that he was smack in the middle of a plot to rip off some heroin dealers, the likely reason he had to die. This leads Firmino to a shady disco, prostitution, and drug trafficking. As more facts become known, Firmino's boss wants him to make contact with a lawyer named Mello Sequeiro, aka Don Fernando -- who has dedicated himself to championing the cause of the unfortunates, those who because of upper-class families like his, have been historically mistreated and oppressed. He's also a a believer in the power of the pen as a vehicle for publicizing corruption and abuse in its many forms, which is why he is there to guide Firmino in his reporting. While The Missing Head of Damasceno Monteiro is definitely a story of murder, it's not really a typical mystery. The clues are found easily, and while Firmino is nosing out the story, his mind is on its publication rather than on himself as a detective-type figure. The story is told largely from Firmino's point of view, although there are a few exceptions. The discovery of the body by Manolo the Gypsy, the occasional news reports published in Firmino's tabloid, and a staticky recording of a trial toward the end all stand alone. The characters, with the exception of a few main people, are all sort of on the periphery -- and the story is told so that there isn't much development of those individuals. But it doesn't really matter -- while the focal point that brings all of these people together is definitely the murder of Damasceno Monteiro, it's the dialogues between Firmino and Don Fernando that establish the importance of the novel. 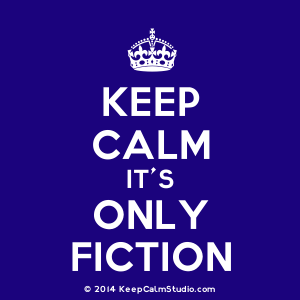 They allow the reader to ponder the relationship between literature, the law and the reality of what goes on in those institutions that exist for the public's protection. While Firmino wants nothing more than to return to studying literature, Don Fernando believes that literature is at its most valuable when a writer takes up his pen to take action against torture and other injustices -- to disturb people's psyches enough to let them know that these things really happen where they live. After obsessing over legal theory for years, Don Fernando's moved beyond study to practice -- defending those who are victims. And it's not just the victims of torture he's defending or representing -- there are others who are on the downtrodden side of life that he cares about as well, like the Gypsies, who are victims of society's xenophobia and racism. And this brings me full circle back to Andrea Camilleri, who put Tabucchi into Montalbano's hands. Like Don Fernando, Montalbano often champions the underdog, and in his work, he's come across police corruption and has experienced the reluctance of ordinary citizens to speak up and help him with his investigations. He also has an ally in the press, which allows him to get out information pertinent to a crime. But when all is said and done, Tabucchi and Camilleri both use their literature to express their views on corruption, the network of connections that exist that allow the wrong people to circumvent the law, and they are both against racism and xenophobia. As a crime novel, it's not so much a whodunit or a whydunit ...the answers to these questions are conveyed very close to the beginning. And there's a lot of theoretical discussion going on, so if that's not your thing, you may get very bored very quickly. But if you hang in there, there's definitely a message involved in all of this madness. I liked the book, and ironically, I lost the same book twice and had to order a new copy -- for a while there The Missing Head of Damasceno Monteiro had to stay missing until I could replace it. I would recommend this book to anyone who is interested in the importance of literature as a medium for change or social & political awareness. This sounds like an interesting book, which should be added to the TBR list. Actually, I now own two copies. I bought the second one at Amazon. You're welcome to the other copy when I unearth it! Thanks, Nancy. I finally unraveled the mysterious missing head. I wondered if I'd lost mine. But now I get it. It's your interesting book which I'll read and pass on. Thanks so much for thinking to send me one. This book is excellent! I liked the whole story, the characters, the politics and the intellectual banter about various philosophers, many German. Have already passed it along to two friends who like this type of book, and have four more in mind.